I take no credit for this find as I hadn’t the foggiest that these M&S Chunky Peanut Butter Chocolates even existed. 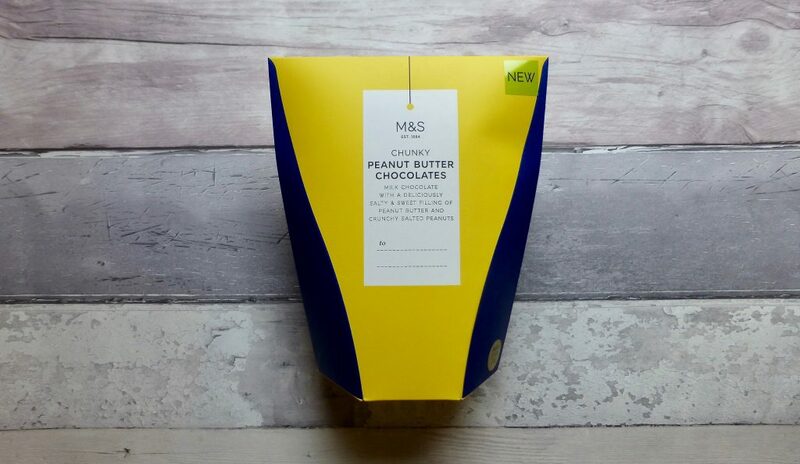 My mum is the one who found this bright yellow box of delights in M&S last week, and I for one am happy that they have continued to embrace peanut butter. Designed to be a little gift to someone I sadly do not know how much these were. What I do know is that these individually wrapped milk chocolates are filled with layers of soft chocolate fudge, salted peanuts and peanut butter. Sounds wonderful doesn’t it! Per 100g: 514 kcal, 11.7g sat fat, 45.8g sugar and 14g protein. I had envisage that these would be much smaller and was quite surprised at their size. Inside that chocolate shell revealed some delectable layers that made me want to just to immediately eat it. Super soft but slightly chewy, the tiny pieces of peanuts helped to break things up and the lower fudgy layer was a nice touch. The middle layer of peanut butter was glorious and hit the smooth, buttery and peanutty nail right on the head. The milk chocolate was not the greatest quality which is an utter shame but I am willing to let that slide as it was very much a background flavour and allowed the peanut butter to shine. 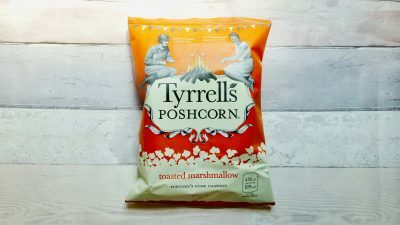 I do wish they had used a better quality chocolate and I can just imagine how epic these would be with something like Lindt. 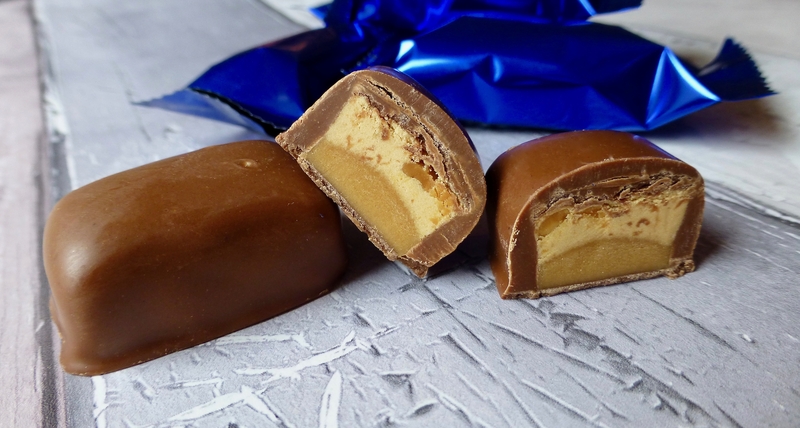 These M&S Chunky Peanut Butter Chocolates are a little overly sweet with a salty contrast but have a punchy peanut butter factor and are overall bloomin lovely. 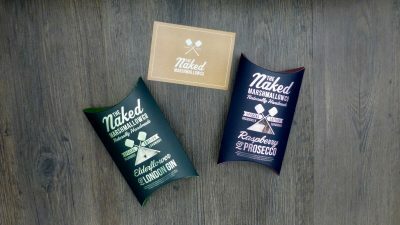 Certainly one to pick up on your travels, To Me, From Me is totally acceptable!